The idea is to develop a Forest School and community cabin at Downsbrook Primary School to ensure that children and members of our community have regular, long-term access to the natural environment. 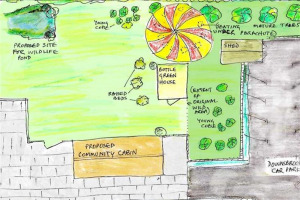 The Friends of Downsbrook want to develop a Forest School and community cabin in an established wild area. The area has some mature trees along with younger copses that were planted with Woodland Trust saplings. We are tripling the size of the area and have successfully applied to Tree Appeal for a further 100 trees. 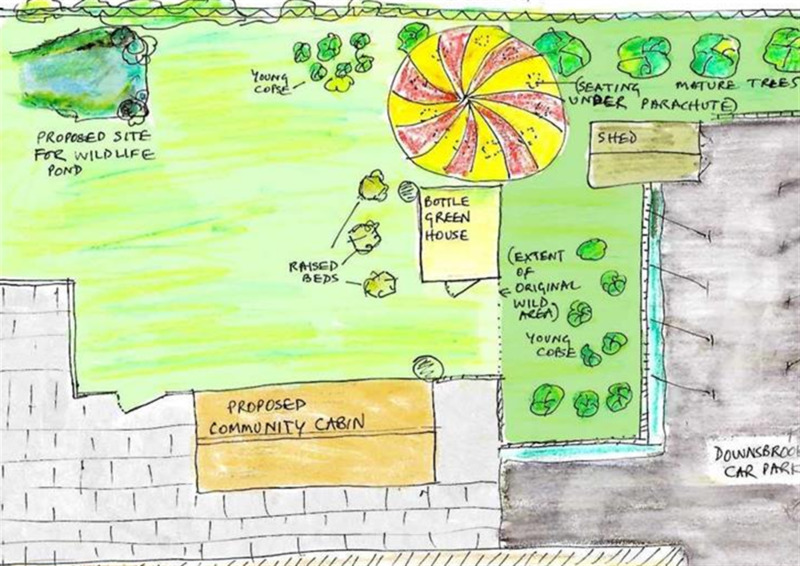 A parent who runs Meadow View community garden nursery wants to develop links and provide us with shrubs and plants. The Probation Service’s Community Rehabilitation team and volunteer parents have already cleared the area of excessive brambles and ivy. We are now ready build a dedicated cabin for the community. 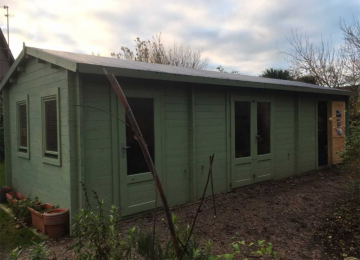 It will be used as a hub for disseminating environmental ideas, developing collaborative community environmental projects and act as a free local meeting place in a natural setting. 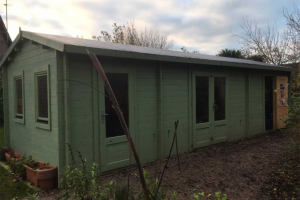 The cabin will also be a base for the school's Forest School activities; ensuring a dry space for protective clothing, equipment and tools and be a ‘bolt-hole’ in severe weather. It is great idea because it will have an environmental impact through developing collaborative projects. 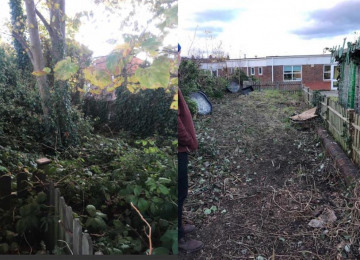 We are already linked with projects planting native trees in the South Downs National Park, the re-routing and restoration of Broadwater Brook, the conservation of the White hair letterstreak butterfly and working with a local community garden nursery. 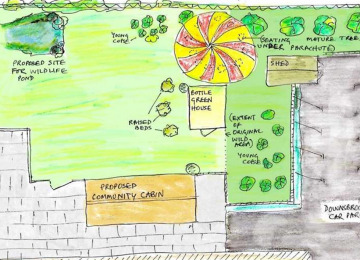 Having a new community base will result in more environmental collaboration. 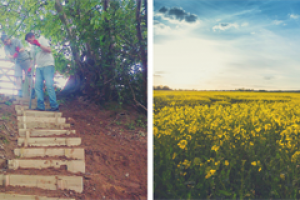 We know children from Downsbrook and other local schools and nurseries will have unforgettable experiences that may encourage a lifelong interest in the environment. In an evaluation of school off-site Forest School work, pupils said; “I don’t like it, I love it! Forest School lets you do stuff that your parents won’t let you do with them and it lets you be yourself.” “I like Forest School because it is adventurous and fun and muddy and you can do new stuff. It is learning but it feels like playtime. It feels funny and really good, even if you get wet". We want to complement the environmental work done by the school at Lancing College work where over 1000 trees have been on their estate in the South Downs National Park. 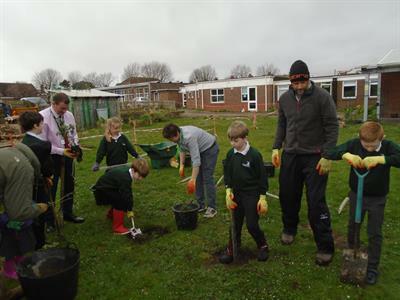 The school are also helping the Sussex Butterfly Group prevent the extinction of the White Letter Hairstreak butterfly by planting Elm cultivars. They are working on a carbon offsetting project with Tree Appeal by planting trees at Downsbrook and have the support of a local arboricultural consultant. We are excited to be working with the Ouse and Adur Rivers Trust on their project to re-route and restore Broadwater brook. The Trust is very keen to use our community cabin as a meeting place and as a place to disseminate their work on the project. 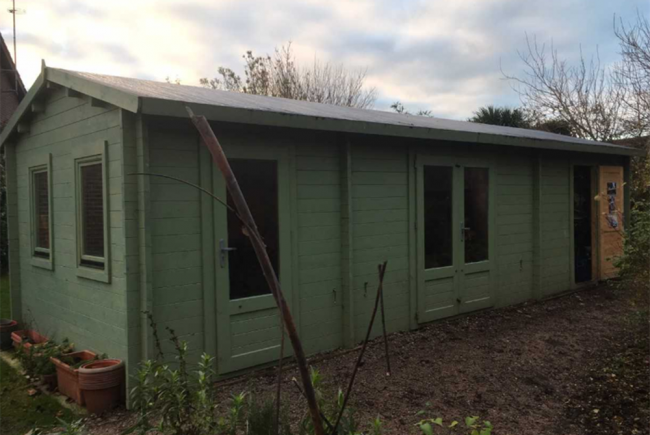 We are developing relationships with local nursery schools so that they can access the project and want our community cabin and Forest School to facilitate the engagement of a wide cross-section of our local community and provide many new inter-generational opportunities. The children at Downsbrook have started planting the first trees in our Forest School project. This will be an elder copse - good for fruit, flowers and shade - with saplings donated by Tree Appeal. Great to see the kids getting stuck in...! Project Delivery Manager: Friends of Downsbrook The Project Delivery Manager takes legal responsibility for receiving and spending the funds raised and ensuring the project is delivered.